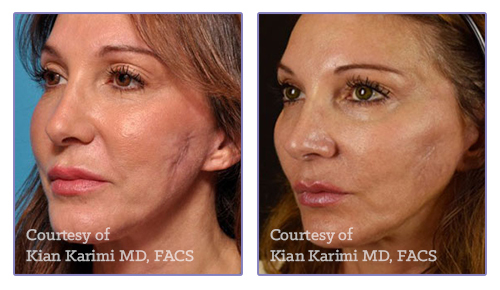 Microneedling is one of the top new cosmetic procedures that can help treat skin concerns and reverse the effects of aging using collagen induction therapy. Microneedling can help reduce and eliminate fine lines, wrinkles, hyperpigmentation, acne scars, stretch marks, and more, and is performed using a cosmetic tool known as the CosmoPen. Using the CosmoPen, your cosmetic provider can induce the production of collagen, and help restore a youthful glow and appearance to your skin. During microneedling, the CosmoPen creates thousands of tiny channels in your skin to help induce the production of collagen. Just prior to the procedure, our cosmetic professional applies topical products that will be more efficiently absorbed by your skin thanks to the thousands of micro channels created by the CosmoPen. Throughout the healing process, the skin heals optimally as a result of induced collagen, and from having the ability to absorb a higher percentage of topical skin care products. How does microneedling affect product absorption? On average, your skin only absorbs about three percent of the skin care products you apply topically to your skin. Microneedling with CosmoPen allows your skin to absorb about 80 percent of the skin care product applied during treatment for a tighter, plumper, and more youthful appearance. This is because the CosmoPen creates thousands of micro channels in your skin to promote optimal absorption. What areas can be treated with CosmoPen? CosmoPen can be used nearly anywhere on the body to treat skin concerns such as scarring from acne or surgery, stretch marks, pigmentation disorders, aging, and alopecia, also known as baldness. 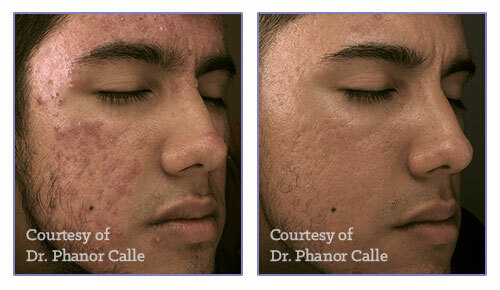 Consult with your provider to find out if microneedling can help improve the appearance of your specific skin concern. Is microneedling with CosmoPen painful? In most cases, your provider will treat the affected area with topical anesthetic prior to using the CosmoPen to help reduce any pain and discomfort. 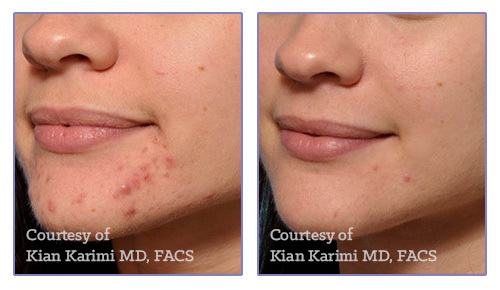 Most patients report that microneedling is pain-free thanks to the topical anesthesia. Will microneedling result in any downtime? 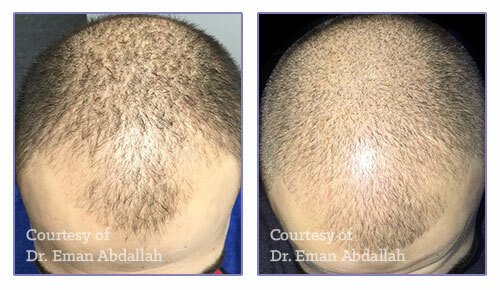 The downtime associated with microneedling is minimal, and patients can normally return to their everyday activities within a day of having treatment. Individuals who wear makeup can go back to doing so the day following treatment. While there is minimal downtime, you may experience redness in the affected area for between 12 and 48 hours. The length of time it will take for you to see results will vary depending on your health and on the area being treated. Most patients will notice improvement after one or two treatments, but those with more severe skin conditions may not notice results until after four or six treatments, which are often spaced 10 to 15 days apart. Results will depend on how long your skin takes to produce and regenerate collagen, but in most cases, your skin will continue to improve for up to 12 months after receiving CosmoPen treatment. class="page-template page-template-page-theme page-template-page-theme-php page page-id-9125 samba_theme samba_left_nav samba_left_align samba_responsive tribe-no-js wpb-js-composer js-comp-ver-5.4.5 vc_responsive"